Sometimes you're hungry enough to size up! 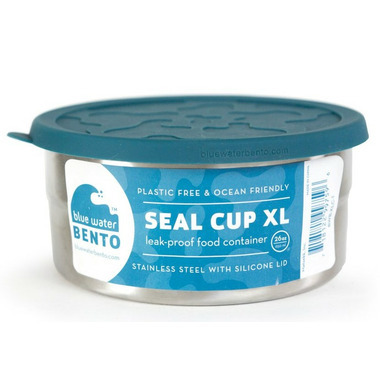 Introducing the ECOlunchbox Blue Water Bento Seal Cup™ XL with extra capacity. It's the largest container in the Seal Cup nesting set and holds 3.25 cups. 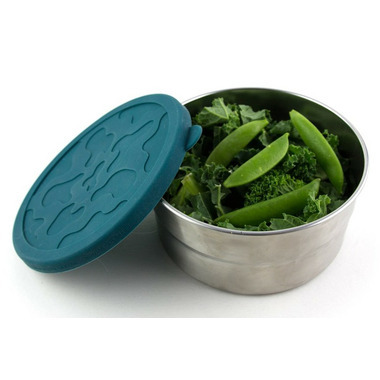 The ECOlunchbox Blue Water Bento collection lunch containers are designed FOR the ocean and BY the ocean. It's the beauty of the oceans that has inspired all the designs. The tide pool inspired the texture of the Seal Cup XL's dark teal silicone lid. Sneak a peek at the behind-the-scenes design process.